In selecting a wine trademark you may wish to register, consider how the word may be translated, and even how a design may be described in words. On appeal, the Trademark Trial and Appeal Board (TTAB) affirmed. It cited the “doctrine of foreign equivalents” which is applied when it is likely that the ordinary American purchaser would stop and translate the term into its English equivalent. Here, the term, whether in English or Spanish, had no demonstrated meaning for wine so the meaning to the consumer was determined likely to be the same and would outweigh the differences based on sound and appearance. In re Night Wines, LLC, Serial No. 87084959 (T.T.A.B. June 20, 2018). The applicant subsequently abandoned this application. V & C, LLC applied to register ROSSO GRANATO (which in Italian for RED GARNET) for “wine.” The Examining Attorney refused registration on the ground that this term either was merely descriptive of the goods or was merely informational so it did not function as a trademark. On appeal, the TTAB affirmed. The applicant argued that the doctrine of foreign equivalents should not be applied because the ordinary American purchaser—meaning all purchasers—would not stop and translate the Italian wording. But the TTAB found in this context that the relevant purchaser was one who is knowledgeable in the Italian language or at least is likely to seek out the foreign wording’s meaning. Since the record showed that “red garnet” is in common use to describe an attribute of wine and was used in this way on applicant’s own website, the mark was merely descriptive and not registrable as a trademark for wine. In addition, although a product label can bear more than one mark, in this case the applicant had a consistent pattern of displaying informational matter to the left on its labels, so the applied-for term, which was used on the left side, would not be recognized as an indication of origin. In re V & C, LLC, Serial No. 86321427 (T.T.A.B. May 8, 2018). The applicant subsequently abandoned this application. On appeal, the TTAB affirmed. It found that the dominant element of both marks was LAROQUE and that the wording “Citė de Carcassonne” was geographically descriptive so entitled to less weight. Although the applicant argued that wine consumers pick their wine based on the image on the labels they browse, there was no evidence to support this, and the TTAB considers only how the marks appear in the registration and application, not on labels in the marketplace. Further, the TTAB said that the house design in the applicant’s mark might be interpreted as a “chateau” that would correspond to, or at least call to mind, the word CHATEAU in the registrant’s mark. 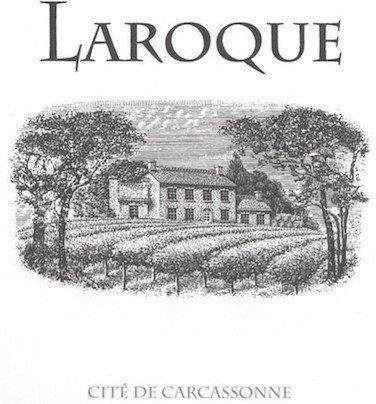 Finally, the applicant argued that the registered mark could not include the wording “Citė de Carcassonne” because Chateau Laroque was not in that region but would always have “St. Emilion” or “Saint Emilion” on its label. The TTAB pointed out that there was no evidence that consumers would not confuse similar marks on wines from different regions, that wines from different regions are offered by retailers on the same webpage, and that a maker of wine in one region could also produce wine in another region. In re Aquitaine Wine USA, LLC, Serial No. 86928469 (T.T.A.B. April 2, 2018). The applicant subsequently abandoned this application.